The fire broke out shortly before 8pm. 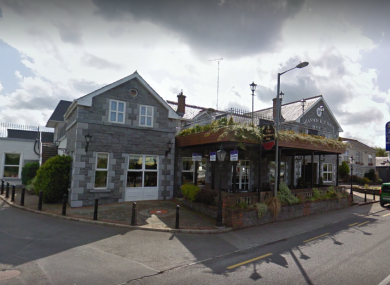 EMERGENCY SERVICES ARE attending the scene of a fire at the Shannon Key West hotel in Rooskey on the Leitrim/Roscommon border. The fire broke out shortly before 8pm, and a garda spokesman confirmed that investigations would begin as soon as the fire is extinguished. The cause of the blaze is not yet known, and it’s not clear how badly the building has been damaged. The disused hotel was due to accommodate around 80 asylum seekers from this month, and was the subject of a High Court dispute last year. A company sought to develop the hotel into a tourist hotel, and sought an injunction preventing it from being used to house refugees. The incident follows a fire at a hotel in Moville, Co Donegal in November, a week before 100 asylum seekers were due to move into a Direct Provision centre there. That attack was condemned by Minister for Justice and Equality Charlie Flanagan, who called it a “despicable incident”. Email “Fire breaks out at hotel to be used as Direct Provision centre on Leitrim-Roscommon border”. Feedback on “Fire breaks out at hotel to be used as Direct Provision centre on Leitrim-Roscommon border”.